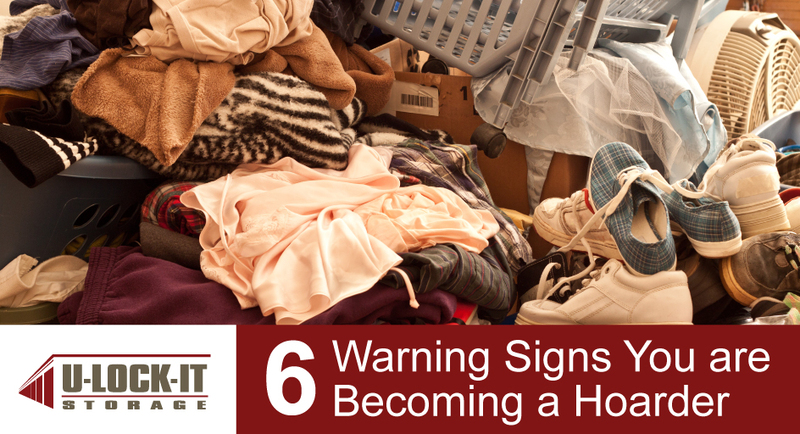 Because hoarding increases the risk of injury to yourself or visitors and affects your quality of life, it isn’t something to be taken lightly. It can stem from so many problems, which is why it’s important to recognize the signs either before it’s too late or so you can get help if you’re already past the point of no return. Here are some signs to look out for. Everyone’s house gets messy at some point, but they don’t normally stay that way for long. It’s the long-term messes you have to look out for. For instance, one person may have hundreds of books alphabetized/categorized on bookshelves, while another may have hundreds of books piled on the floor for months, even years. The latter could be considered a potential hoarder, depending on the severity and cause for the mess. If your belongings are strewn across your home with no order or piled on top of other belongings due to a lack of a place to put something, you could be going down the path of a hoarder. Messes become unacceptable when they interfere with your everyday life, such as walking from one room to another or finding room to set down your car keys. You should start to be concerned if you can’t find a place to put things. Are you starting to pile stuff on your tables and countertops? Would a guest be able to sit on your couch or put a cup down on a table? This is where hoarding start to impact your quality of life as you have to make changes to how you live in order to perform certain tasks. When you have to struggle to open a door or squeeze through a small opening from having too much stuff crammed behind the door, you might need to consider getting rid of a few things. This level of messiness isn’t normal and could be seen as a sign of hoarding. One of the first places to acquire excess belongings is the garage. From there, it spreads out into the yard. If you have objects that wouldn’t typically belong in a yard, then it doesn’t belong. You need to have a serious spring cleaning before the problem progresses. Friends will excuse a mess only as long as it just looks like you live in your home, not that you trash your home. If you have to go beyond a quick tidying up before you have visitors or choose to avoid the ordeal altogether, you need to get help. Have you ever had someone suggest you throw something out but you got mad at them for even thinking such a thing? Especially if it’s something you haven’t used in a while. Despite what your heart may be telling you, you don’t have to keep everything. It’s healthy to throw things out every once in awhile. Most hoarders have a hard time cutting their emotional attachment to everything they own. The sign you have a problem is when you can’t make yourself let go. A sign there is still hope for you: if you can allow a friend or family member get rid of your some belongings in an attempt to help you. In that case, you can be labeled simply as a messy person, and not a hoarder. Stopping a hoarding problem is always hard. It takes time and often therapy and support to recover. Typically, the majority of items a hoarder has needs to be thrown away. However, for the things that can be kept for true sentimental value or that just don’t fit in your home anymore, consider storing them away in a storage unit. There your belongings can stay out of your way while still being accessible if necessary. Don’t let your hoarding issues run your life. Start getting help today and make room in your home to live again. Contact U-Lock-It today about getting a storage unit for your needs.